Dr. Garba Lompo is the Permanent Representative of ECOWAS in Togo. 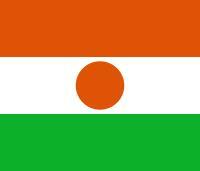 He was born in 1961 in Sabongari (Gaya) in the Republic of Niger. He holds a Doctorate Degree in law from the University of Nantes, France. A former law student at ECOA POITIERS, in France, he is also holder of a Postgraduate and Master’s Degree in Fundamental Rights (2005) having obtained a certificate in conflict prevention from the United Nations system Staff College and specialising in International Law. Prior to his appointment as Permanent Representative, Dr. Lompo was the Chairman of the Board of Directors of Société Nigerienne d’Urbanisme et de Construction Immobilière (SONUCI), Republic of Niger. He was the Special Adviser (Member of Council with ministerial rank) to the President of the Republic of Niger, chair of Institutions as well as Minister of Justice and Attorney-General of the same republic. 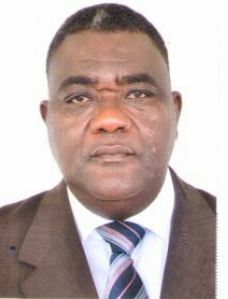 Dr. Lompo was also the Consular Secretary of the chamber of Commerce and Industry of Niger between 1999 and 2002, Economic Adviser (1997-1999 and Director in a private firm (1990 to 1996). Between August 2002 and August 2005, he was the Chairman of Niger’s National Commission on Human Rights and Fundamental Freedoms, Government High Institution as well as the Independent Administrative Authority, established by the 1999 Constitution of his country. He has also garnered experiences from seminars and working meetings on various themes having to do with human development all over the world. Dr. Lompo has several publications and presentations on development and African and United Nations sessions on human and people’s rights. These include: International Cooperation and human rights : case study of UEMOA and its Member States (Benin, Burkina Faso, Cote d’ivoire, Guinea Bissau, Mali, Niger, Senegal and Togo. Apart from being the president of West Africa’s Network of National Institutions, he is a member of several organisations for the defence of national and sub-regional rights and freedoms. He is a member of the Organising Secretary of Niger’s SME National Union among others. Dr. Lompo speaks five languages consisting of English, French, Hausa, Zarma Djerma and Gurmantchema. He loves reading and sports and is married with five children.